NIA secures conviction of 18 UNLF members including the ChairmanRaj Kumar Meghen @ Sanayama on Wednesday. The Agency submitted two charge sheets in the case, charging 25 persons for their involvement in terrorist conspiracy and waging war against the Government. Of these, 18 persons faced the criminal trial and remaining seven are absconding. The following 18 persons have been convicted and have been sentenced to rigorous imprisonment ranging from 7 to 10 years by the NIA Special Court. The NIA Special Court at Guwahati, pronounced judgement in NIA Case No. RC- 10/2010/NIA/DLI today and convicted 18 persons under various sections of the Unlawful Activities (Prevention) Act and the Indian Penal Code, for various offences including criminal conspiracy of terrorists acts and waging war against the Government of India. 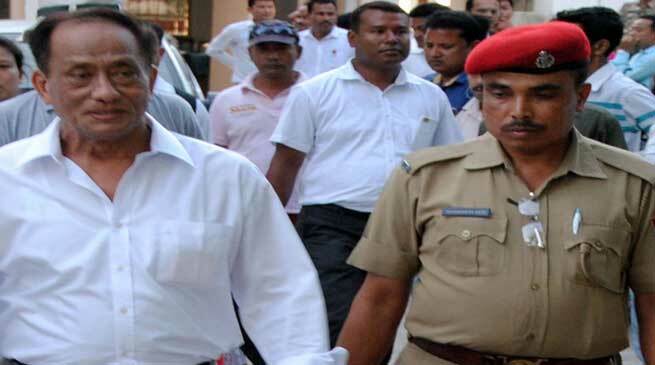 On 30/04/2010 based on information, a search was conducted at a rented house in Guwahati in which two persons identified as Khundong Tomba @ Bikramjiot Vice Chairman of UNLF and Y. Nabichand @ Abo @ Dilip, of UNLF were arrested and from their possession one laptop, three pen drives, one mobile phone, one wireless internet connection and Rupees fifty thousand were seized. In the subsequent investigation, NIA and Assam Police arrested 20 more members of the banned terrorist organization ‘United National Liberation Front (UNLF), who were involved in terrorist conspiracy in the states of Manipur and Assam. Evidence has been brought on record by the Agency to establish that the said proscribed organization indulged in large scale extortion from the Government Servants, recruitment of cadres, purchase of arms and ammunition, for waging war against the Government. The NIA also arrested UNLF Chairman Raj Kumar Meghen @ Sanayama and a large number of digital articles like laptop, mobile phones etc., recovered from him and other cadres, which revealed financial dealings of the organization as well as money trail of investments by the organization, which were located and seized during the investigation. The Agency submitted two chargesheets in the case, charging 25 persons for their involvement in terrorist conspiracy and waging war against the Government. Of these, 18 persons faced the criminal trial and remaining seven are absconding. The following 18 persons have been convicted and have been sentenced to rigorous imprisonment ranging from 7 to 10 years by the NIA Special Court.